Yon koudèy sou pi bèl foto sou aktyalite a nan lemond. Yon tren espesyal transpòte kadav defen prezidan ameriken George H W Bush nan College Station ki sitye a direksyon nò Dallas Tegzas kote li pral antere nan bibliotèk prezidansyèl inivèsite Tegzas A and M nan menm kote madan m li Barbara ak pitit fi l Robin deja antere. Nan yon seremoni ki dewoule nan legliz episcopal Sen Marten an selebran prensipal la te pale de dènye rankont li te fè ak defen an kote li te poze l kesyon sou egzistans paradi ou byen èske li prale nan paradi. 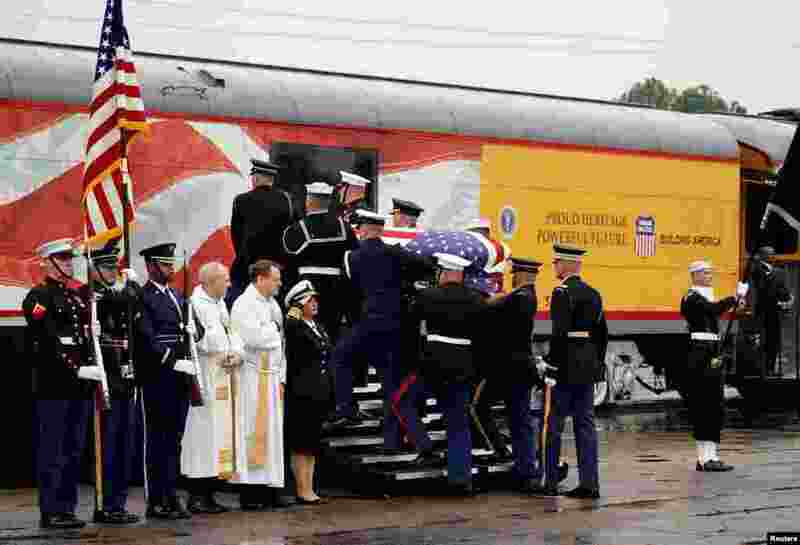 2 People pay their respects as the train carrying the casket of former President George H.W. 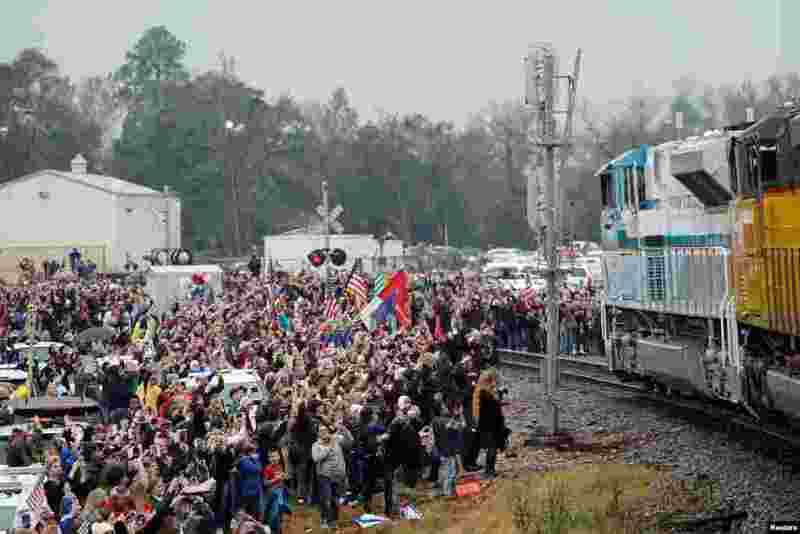 Bush passes along the route from Spring to College Station, Texas. 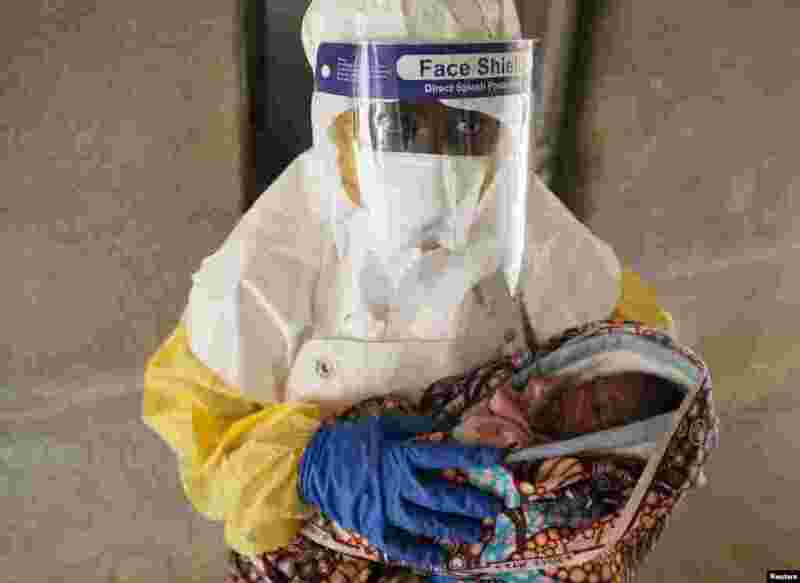 3 A health care worker carries a baby suspected of being infected with Ebola virus in a hospital in Oicha, North Kivu Province of Democratic Republic of Congo. 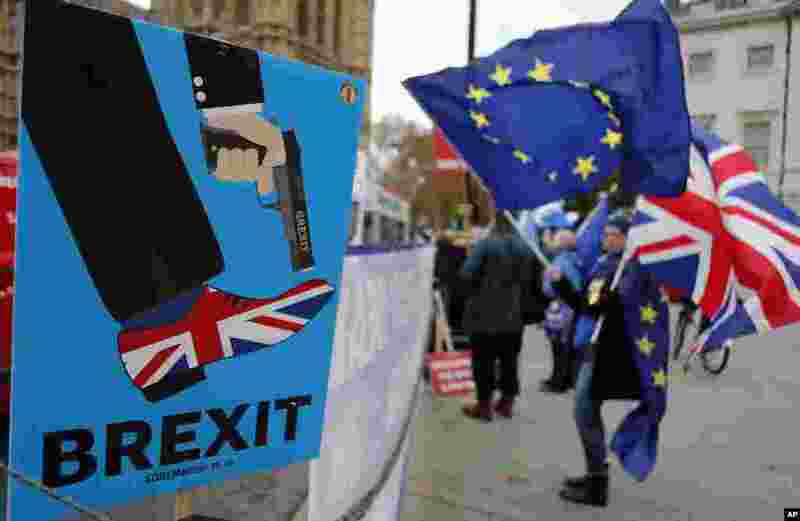 4 Protestors demonstrate opposite Parliament against Britain's Brexit split from Europe, in London.